CALL TODAY FOR OUR MOVE-IN SPECIALS! We are a quiet conveniently located community that sets a new standard for affordable luxury apartment living. Here you will learn all about what makes Mill Creek so unique in value and features. Learn about our one of a kind features from window seats, washers and dryers, and oversized optional garages. Our Kalamazoo luxury apartments for rent include the largest selection of custom designed residential floor plans in our area. The plans are well thought out to provide you spacious living and convenience. Take the virtual tour to view the unique options, ample natural lighting, and high end quality features. Tour some of our beautiful apartment homes in this section that show how spacious and inviting living at Mill Creek can be. 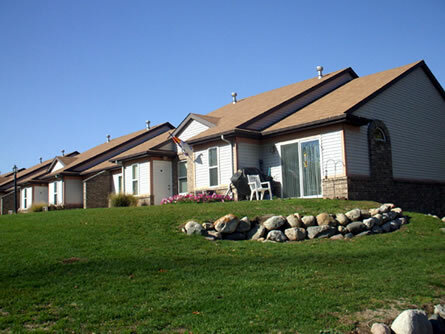 Here you will learn more about Mill Creek Kalamazoo luxury apartments for rent's low density small community design, over-sized pool, convenient location to everything, over-sized garages, and your immediate access to local neighborhood shopping and services. Tells you more about what makes Mill Creek Kalamazoo luxury apartments unique, the history of our company, our special residential style construction design, and our 24 hour maintenance support program. Learn about our extraordinary special home buying club that will provide you with earned home ownership options for the future. To contact us now, allow us to answer any questions you may have, and arrange an in person meeting to tour our exciting Kalamazoo apartment community. This section will show you how convenient Mill Creek Apartments are to everything, with it's very desirable west side Kalamazoo location. Here you will be able to map out turn by turn instructions to find Mill Creek. Provides the opportunity to print off our standard application form for you to complete at your leisure and return to us via fax.